Even with an abundance of awareness campaigns, distracted and dangerous driving remains a problem on the roads. According to the 2018 Driver Risk Safety Report from Motus, a workforce management software company, motor vehicle accidents and injuries are still at record highs and 40% of accidents are work-related – echoing similar findings from the US Bureau of Labor. If a collision occurs, employers and employees are affected in distinct ways. For a mobile employee who uses their personal vehicle for work purposes, a collision can increase their premiums. 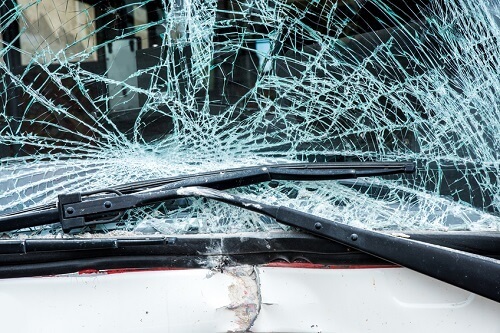 “When someone has an accident with their vehicle and an additional vehicle, typically we’re seeing their individual insurance rates going up by about 33%, and then that’s a cost that they carry for years afterwards,” said Ken Robinson, market research analyst at Motus. But there’s also an effect on productivity when an employer has to account for some degree of missed work-time for auto repairs or medical treatment. To be exact, auto accidents cost employers $56.7 billion in 2017, according to Motus, at the same time as insurance claims from collisions are at the highest level ever from the past decade. “Insurance companies are trying to balance that increased cost burden with staying competitive in terms of their premiums,” Robinson told Insurance Business. Stats and campaigns might have a place in addressing the perils of driving on today’s roads, but several upstarts have taken it upon themselves to address the problem with technology. Robinson picks out TrueMotion as an example of a company using leading edge telematics and better intelligence from sensors on smartphones to measure distracted driving behaviors, though he added that it’s not the only option on the market right now. By using the platform, a company can turn a reactive approach to a collision into a proactive approach by identifying how exactly each unique employee can improve their safe driving skills.